And then she lay on a little green patch in the midst of the gloomy thick wood. In recent years there has been a wholesome revival of interest in old and forgotten folklore and tales and the ancient art of story-telling. 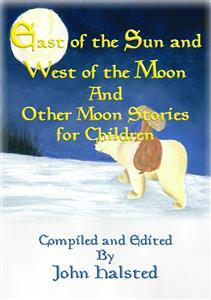 The most thoughtful, progressive educators and parents have come to recognize the cultural value of folklore and fairy tales, fables and legends, not only as means of fostering and directing the power of the child's imagination, but as a basis for literary interpretation and appreciation throughout life not to mention increasing the literacy ability of children. This in turn, has given rise to a demand for the best material available in this genre. Some editors have gleaned from one field; some from several. It is the aim of this book to bring together only the very best from the rich cultural plethora of folklore, and forgotten folklore which is now available. In preparing the stories for publication, the aim has been to preserve, as much as possible, in vocabulary and idiom, the original folklore language, and to retain the conversational style of the teller of tales, in order that the sympathetic young reader may, in greater or less degree, be translated into the atmosphere of the old-time story-hour. The man in the moonCame down too soon,And asked the way to Norwich. He went by the south,And burnt his mouthWith eating cold pease porridge. The Man in the Moon came down too soon. Well, after she had eaten and drunk, and evening wore on, she got sleepy after her journey, and thought she would like to go to bed, so she rang the bell; and she had scarce taken hold of it before she came into a chamber where there was a bed made, as fair and white as anyone would wish to sleep in, with silken pillows and curtains and gold fringe. All that was in the room was gold or silver; but when she had gone to bed and put out the light, a man came and laid himself alongside her. That was the White Bear, who threw off his beast shape at night; but she never saw him, for he always came after she had put out the light, and before the day dawned he was up and off again. So things went on happily for a while, but at last she began to get silent and sorrowful; for there she went about all day alone, and she longed to go home to see her father and mother and brothers and sisters. So one day, when the White Bear asked what it was that she lacked, she said it was so dull and lonely there, and how she longed to go home to see her father and mother and brothers and sisters, and that was why she was so sad and sorrowful, because she couldn’t get to them.